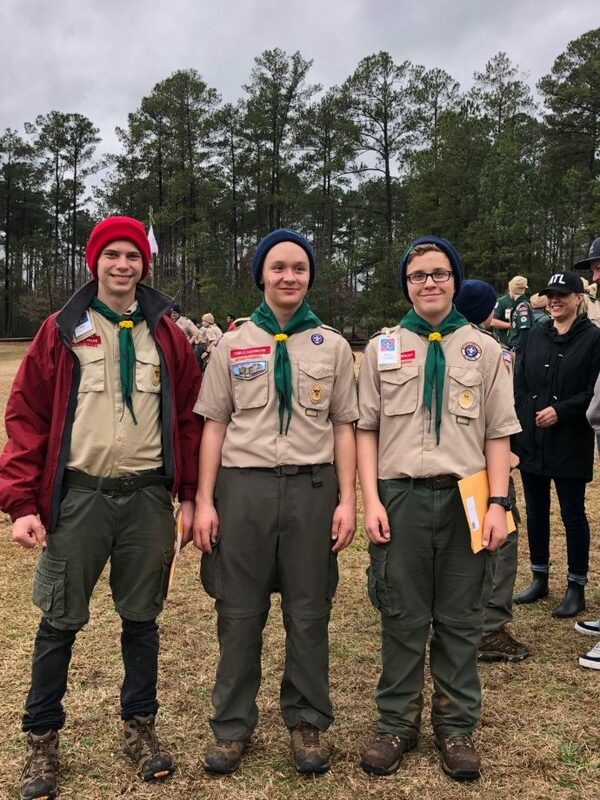 Three scouts from Troop 175 recently completed National Youth Leadership Training (NYLT) at Bert Adams. Gabriel Jacob, Camilo Castrillon and Michael Karpathy completed the week-long course which features instruction in skills that can be used at home, at school, on the job and at the Scout unit level. Through activities, events, games and adventures, NYLT participants work hard and play hard together as they put into action the best Scouting has to offer.